Wet washing is using water as a solvent for cleaning. Used together with biodegradable solutions and conditioners, water is still the most effective in removing odor and foreign particle set in fabric and textile. 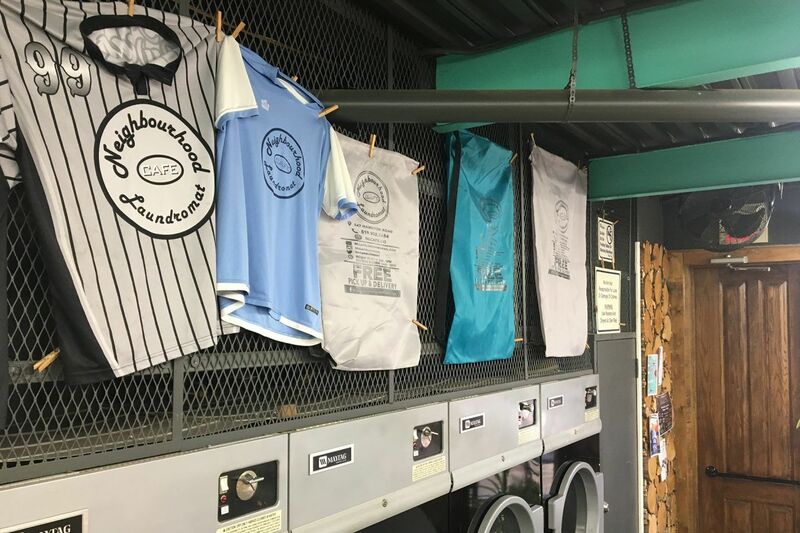 It is a non-toxic, environmentally safe process to clean delicate garments, utilizing computer-controlled equipment and specialized equipment for the many different fabric and fiber types. How Does Wet Washing Work? Wet washing does not use organic solvents, but rather a small amount of water mixed with detergents specially formulated for this process. Unlike household washing machines, vigorous sloshing of clothing is avoided. This allows delicate garments to be cleaned using this method. Shrinkage during the cleaning process is prevented by washing briefly at low temperatures with low-velocity rotational movements. Fiber-protecting components in the detergent can prevent fibers from swelling and wool from losing its scales. Shrinkage while drying can be minimized by drying the clothing quickly under pressure at a high temperature. What you get is a whiter, softer, sanitized, fresh smelling and longer lasting linens, clothes and a cleaner environment. 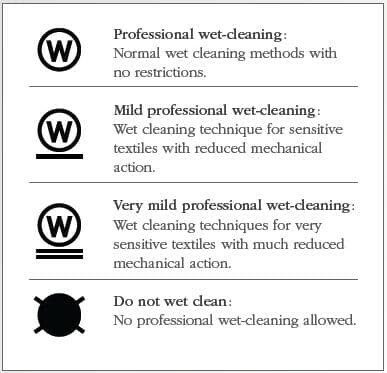 The symbol for wet cleaning is used for fabrics which may be treated in water by a professional wet-cleaning process.